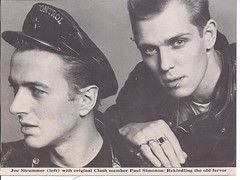 In the song We Are the Clash, the central metaphor is “We’ll strike the match, if you spill the gasoline.” In other words, to bring The Clash to life, you need more than just the 5 people that were on stage. You need the audience as well. 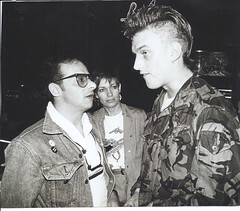 This book is serious history, attempting to educate, but in the best spirit of The Clash, it is also about inspiring. It is about striving towards revolution. With this in mind, we are collecting your stories of how The Clash made an impact on your life, particularly those last days of their final tour. It is our collective experience that makes up The Clash, and it is that collective experience we are hoping to document and build upon. We need your help! Click here to contribute to the Kick Starter Drive! Enter your email address to follow We Are The Clash and receive notifications of new content by email.